If you are a small business owner, then poor credit score can act as a calling card in arranging finances for your business. As has been experienced by many small business owners the hardships related to poor credit. Business funding with bad credit thus can really be an uphill task according to many entrepreneurs. The reason being, the traditional lenders, and banks constantly look out to reduce the risks related to their business. Hence they do not prefer lenders with a wrong credit score, who have a high chance of defaulting loan. However even if you are a bad credit scorer, there will still be an ever ending need for funds for keeping the business moving on. While the bad credit keeps you from getting the loan, you burdened with injecting requirement of funds, which can be very stressing at times. At BusinessAdvanceFunding we understand such scenario and hence issue fast business loans for poor credit. So if you are looking for bad credit business loans, we can just be the right funding source for you. No documentation, hard credit checks or extensive business plan required. Getting approved for the loan. Ready funds for business needs. So with us at your aid procuring guaranteed business loans with bad credit will be easy as never before. 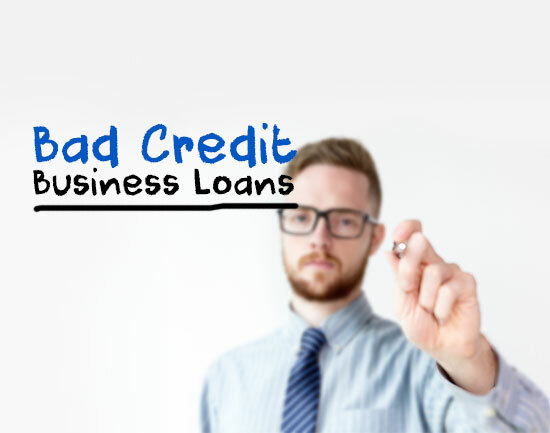 So do not just think about ‘can you get a business loan with bad credit’? Apply with us today and get yourself fund ready with bad credit business finance.